How are you? You might think that I am mad writing this letter but you gotta read. I first saw you on a movie house when I was still what, 13 or 14. I remember you were wearing your pearl white dress with a bright blue scarf. Virgin-like, I thought. The green mighty buildings surrounding you boasted of protecting your innate beauty. The people, well, they were just there to praise your wonders. They say that this film did you no justice and only, if not ruined, abused you. That didn’t matter to me. I was in love with you. Since then, seeing you in person has been one of my ultimate dreams. The 2004 tsunami was rumored to have dramatically improved your then-abused state. I also wished that rumors are goddamn true. Now that I am about to enter my thirties, that dream was realized and I finally got the chance to lay my eyes upon you. 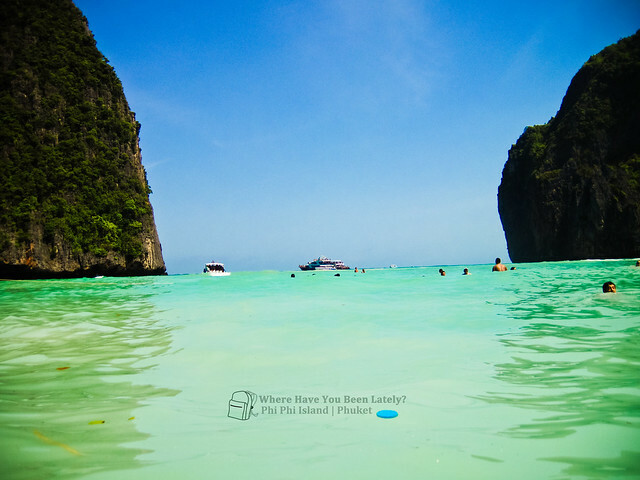 Welcome to Maya Bay, one of Phuket’s gems. Your picturesque portrait still is freakingly amazing from afar, just like how you looked back in year 2000. You are still wearing the pearl white dress and that bright blue scarf. The buildings, though they may look wasted and old, are still there guarding you. The people, still amused by you. But there’s one thing that your admirers like myself does not know. 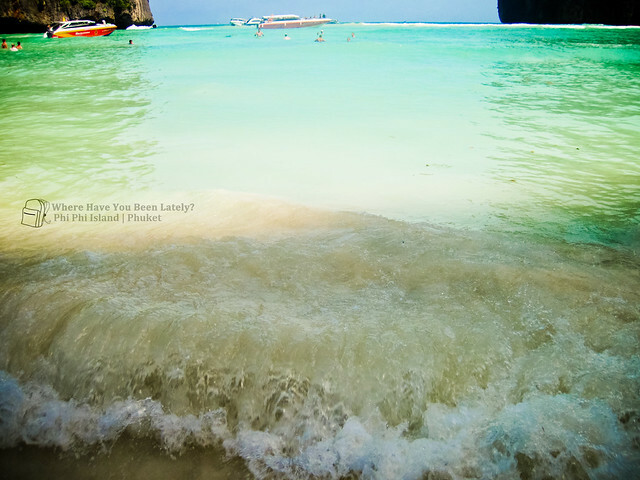 The waves in Maya Bay can be strong that it can take you down in a snap of a finger. Your careless movements that the film didn’t show have bruised me. Overcrowded with tourists and jet skis. Your rough attitude is unbearable. Alluring, right? What this picture doesn’t show are the sharp rocks underwater that can no doubt cut your feet. Mostly, you are full of crap. Spot the blue bottle cap. Aside from that, there are baby diapers, plastic, and all sorts of trash. Would you still want to swim here? You are nothing compared to Calaguas, to Boracay, to Panglao, and even Puerto Galera. I am sorry if I offended you with my harsh words but you are deceitful. Yes, your facade is fascinating but you rot from the inside. 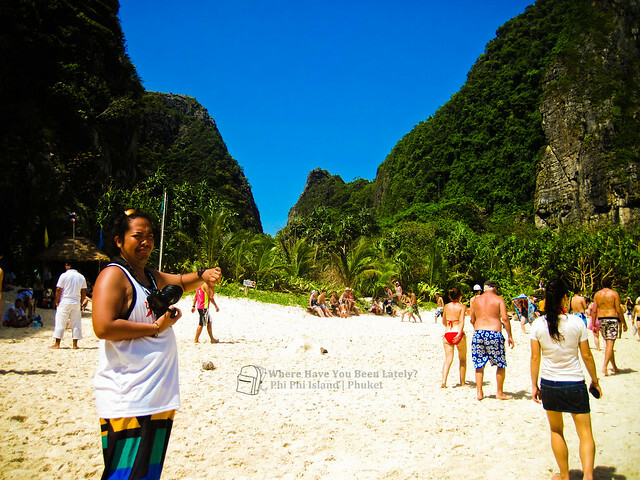 Rowjie showing his disappointment with Maya Bay. My fantasies of being with you for a long period all perished. I’d still have to think if I want to be with you again. I no longer love you but it was nice meeting you. It’s a beach forever etched in our heads. Nakakagulat na ganun pala kadami tao dun on a regular day. Paradise is a lie. Haha. Whoever said there is paradise? haha! True. Considering na Tuesday pa nung punta namin. What if may Full Moon Party pa sa Thailand? ang kyot nagpapakasulat mo kaiz, pero grabe naman ung diaper na yun. sayang. This is so sad. Thailand beaches are indeed fascinating pero pag andun ka na sa beach, mas ok pa din ang beach natin. 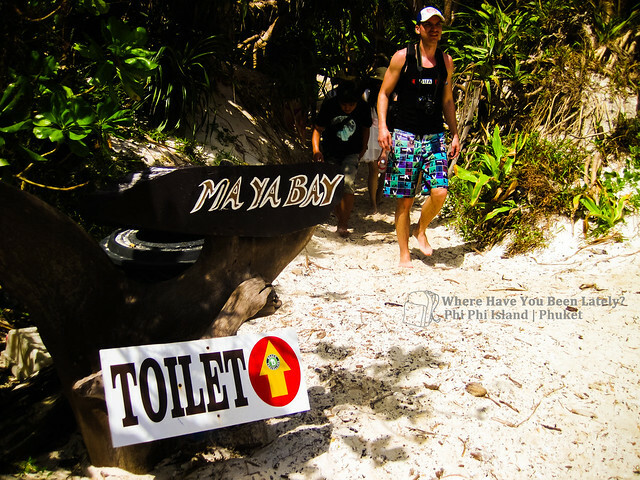 Di kami naka pag Maya Bay pero nag Phi Phi tour kami, low or high season daw nalimutan ko na. Hehehe! 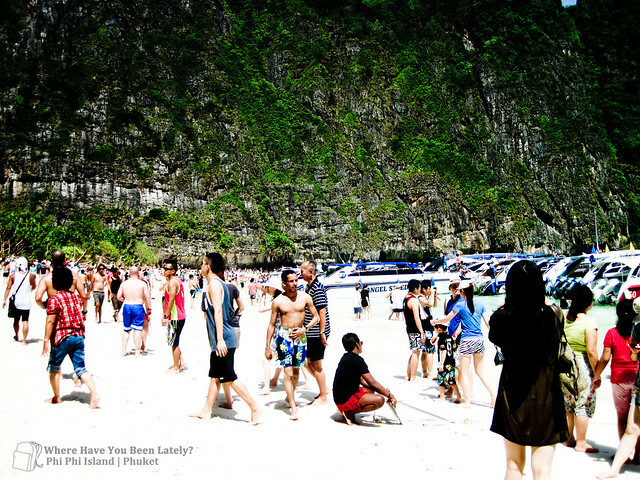 Yeah I think there’s lots of people that are disappointed with Maya Bay – I was expecting a deserted beach, but instead I felt as though I was standing on a beach in Europe.